The patch of land between Parklaan and Westzeedijk is known as Muizenpolder, after the mice that used to infest it. A number of mansions were erected on the Parklaan side in the 19th century. The garden of the former villa 'Schoonoord' was designed by J.D. Zocher in about 1860. 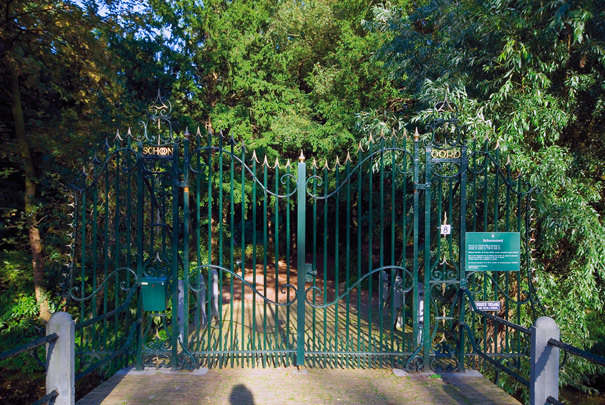 In 1926 the garden came into the possession of the banker Jacob Mees who lived on Westzeedijk. The following year the entrance with its 18th-century gate was moved to Kievitslaan. The garden has been open to the public since 1973.